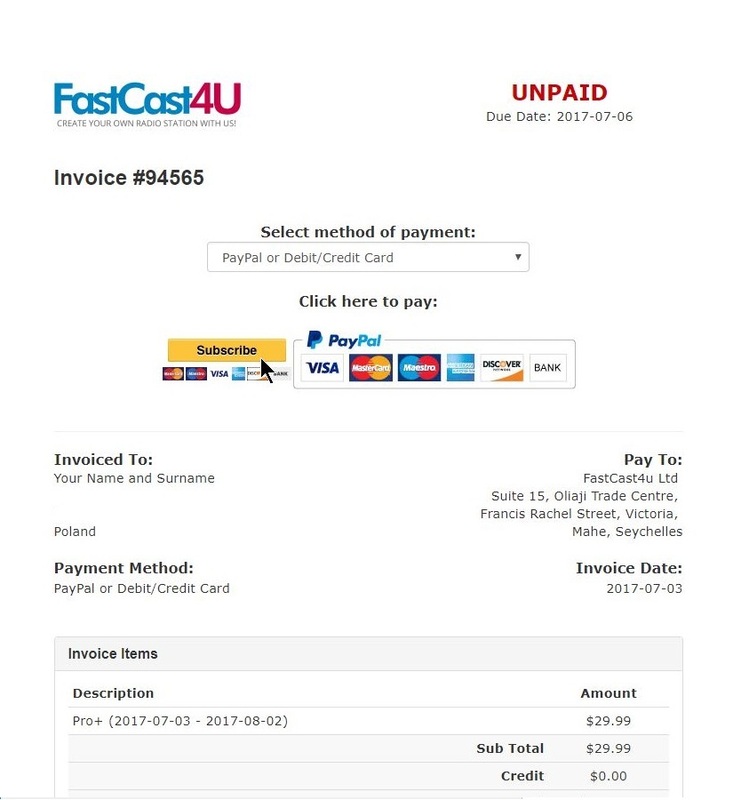 FastCast4u | How to create a PayPal Subscription? Help | How to create a PayPal Subscription? 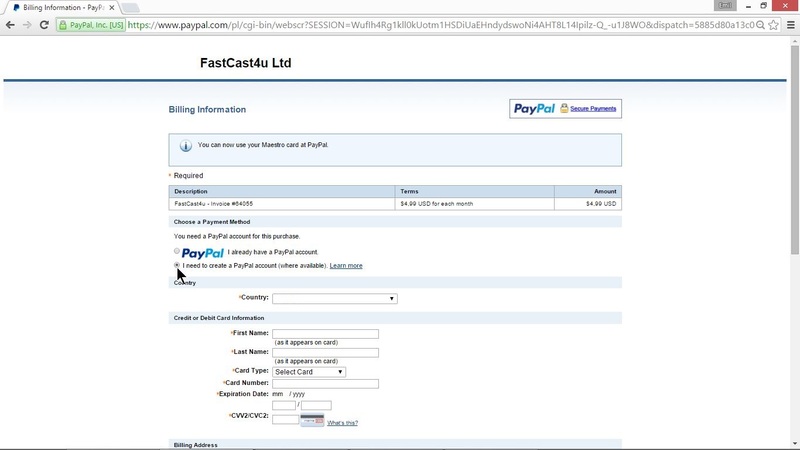 To create a PayPal Subscription (recurring payment), open the invoice and make sure that PayPal od Debit/Credit Card option is selected as the payment method. 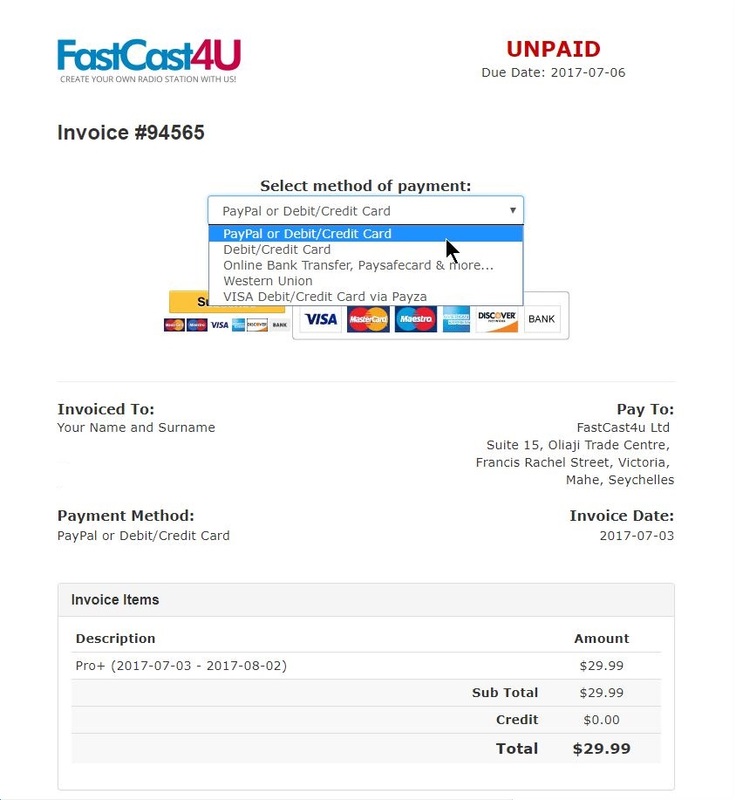 Your personal data, address and other invoice details are protected, so you need to be logged in to view and pay your invoice. The payment will be processed by PayPal. Here is the list of countries in which sending payments through PayPal is supported. Click the Subscribe button to create a subscription and be billed automatically by PayPal. Creating subscription is optional. 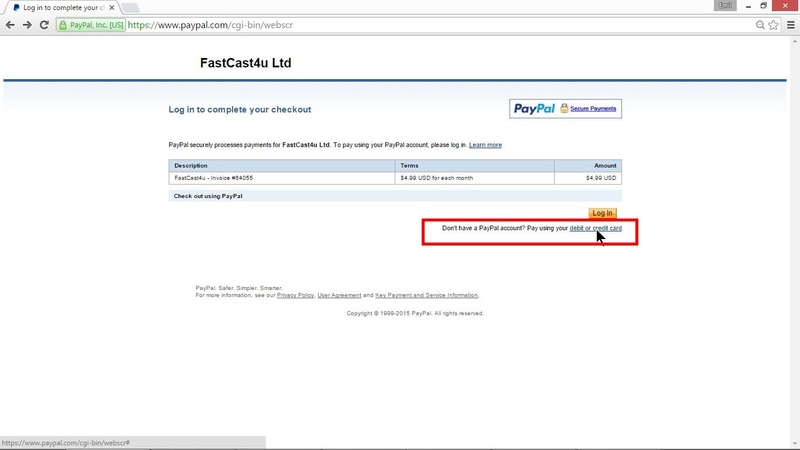 You can also make a one-time payment through PayPal without creating any subscriptions/. If you do not have a PayPal account you can easily create it and set up a subscription. 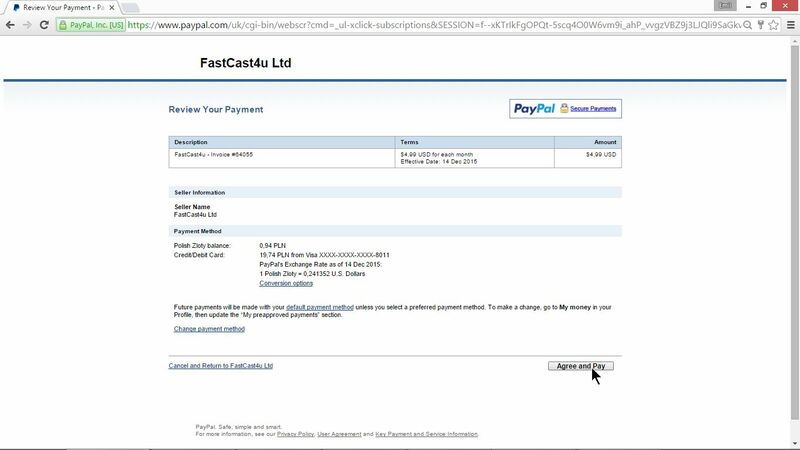 Enter your details and card details to create a PayPal account. Confirm the subscription. Please notice that if you use other currency than USD or Euro, it will be automatically converted to USD. 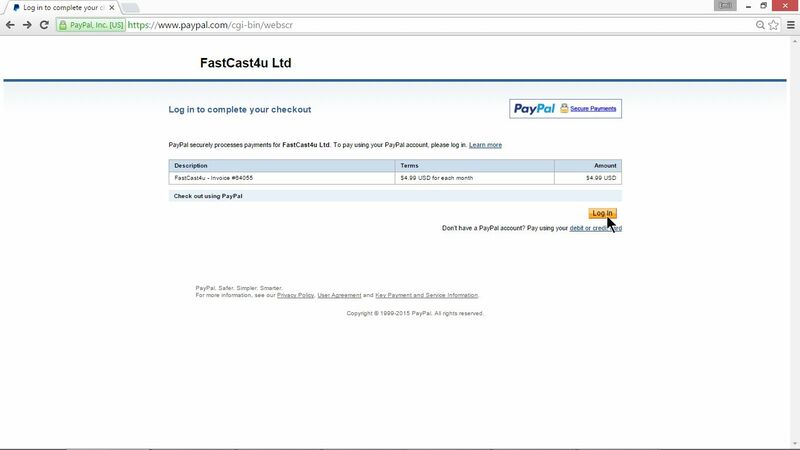 You can easily cancel your PayPal subscription at any time.